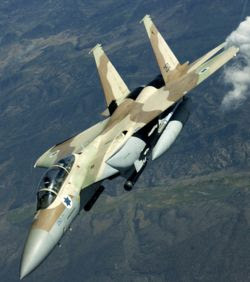 Israel attacked Syria and it would’ve never made the news if not for the Turks finding some F-15 drop tanks in their desert. 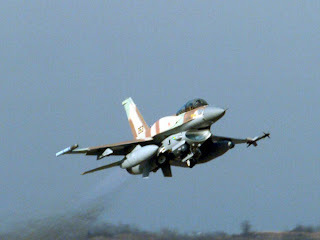 The big question is what did the Israelis hit? Snippets of stories are coming out and rumors abound. I’ll put my money on nukes. WMD’s from North Korea, who now conveniently want to disarm. Heard on either Fox or CNN today that the weapons were marked “cement” and the Israelis tracked the shipment from North Korea to Syria. Then they blew them up. Syria is being rather quiet on the issue. Shouldn’t they be dragging a “Baby Milk Factory” or such in front of the cameras and decrying loudly for the U.N. to condemn Israel? President Bush held a news conference today saying that the White House had advanced knowledge of the air strike and approved of it. Beyond that the press got a big fat “No Comment”. The Democrats should be screaming any minute and won’t wake up to the threat until one of our cities evaporates. Russia has been flying “Routine Patrols” off of our shores and those of our NATO allies. In the light of the Israeli response, could they have been tipped off too and are hedging their bet?